Monoject 1ml Insulin Syringe Permanent Needle 28G 1/2" 100/bx has been engineered to offer you a supreme injection experience. With decades of experience, Covidien puts an emphasis on safe products that deliver smooth, clean, and easy injections. ADW Diabetes offers a wide range of Covidien syringes and needles in both single boxes and multi-packs. 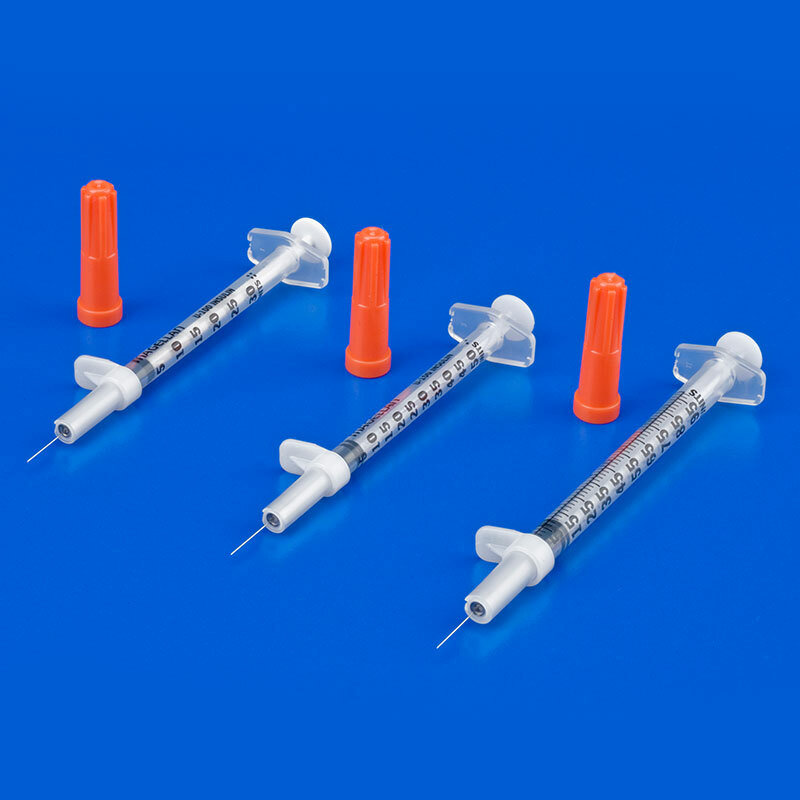 Monoject Insulin Syringes are designed with accuracy in mind. The clear barrel construction and bolder scale is easy to read while the graduations improve measurements on insulin draws and eliminate errors. These syringes are sterile and are individually packaged with a needle. Polypropylene barrel and plunger rod. Graduations to improve measurements and eliminate errors. Orange needle cap identifies insulin syringes as U-100. Laser-welded cannula assures cannula integrity. Contains 100 Monoject 1ml Insulin Syringe, Permanent Needle, 28G, 1/2".